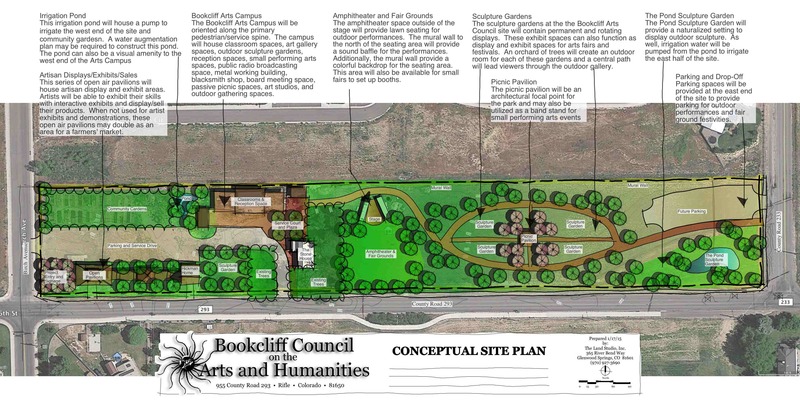 Established in 1989, the Bookcliffs Arts Center, a 501c3 nonprofit, has been an advocate for arts and culture in western Garfield County, Colorado. This is made possible with the generous support of regional funders and a devoted membership who share a strong commitment to our unwavering mission. 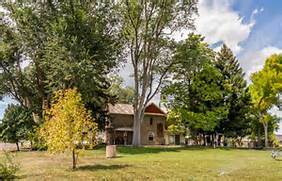 The Bookcliffs Arts Center is located at 1100 East 16th Street in Rifle Colorado. Our current campus offers classroom space and studio space in addition to our 100 year-old renovated Stone House. Located on five-acres, there is also an outdoor stage and community gardens. Future plans include sculpture gardens, picnic pavilions, and expanded classroom and studio workshops and an art gallery. The Bookcliffs Arts Center currently offers a selection of art classes and a summer concert series. Check out our events calendar for a full listing of our upcoming events. Our Mission: To promote the arts and humanities within our Western Colorado region through the development of unique and diverse programming and events which meet the needs of our burgeoning artistic community while fostering stronger public appreciation of arts and culture. From 1989 to 2001 the Center provided art, music and cross-cultural experiences throughout the area; however, having no permanent location from which to base programming and events, these activities were conducted outdoors, in local schools, churches, and in private homes. In February 2002, utilizing grants and donations, the BAC purchased a five-acre property, located at 1100 East 16th Street, from the Morrow family, giving the Center a permanent home in Rifle. From 2002 to 2010, The Bookcliffs Arts Center went through a lengthy annexation process to become part of the City of Rifle. During this time, the Master Site Plan was established. The Plan outlines a phased process to develop the BAC’s five acres into gardens and a teaching campus that will host classes, events, and art shows. Phase One was completed from 2010 to 2014. The original 100 year old Morrow Stone House was remodeled into the BAC office with a kitchen for Culinary Arts, teaching space for Art Classes, and meeting areas to host community organizations. Land next to the Stone House was designated as an outdoor stage, and the Hilltop Summer Music Series was born. Phase Two was completed in 2016. Additional classrooms, 8 additional garden plots, parking, outside lighting, and an irrigation upgrade were included in this phase. Working on the “White House” is still in the plans. The house is in need of asbestos abatement, we are working on funding to accomplish this. Phase Three will see further classroom development. The successful Rifle Community Gardens will be joined by arbors, a pavilion, and covered walkways that will host art exhibitions, farmer’s markets, and social gatherings. This phase will include construction of a permanent Amphitheater to replace our temporary outdoor stage. We welcome assistance from volunteers with projects; from creating and hosting events to landscaping and building new classrooms. Everyone is welcome!